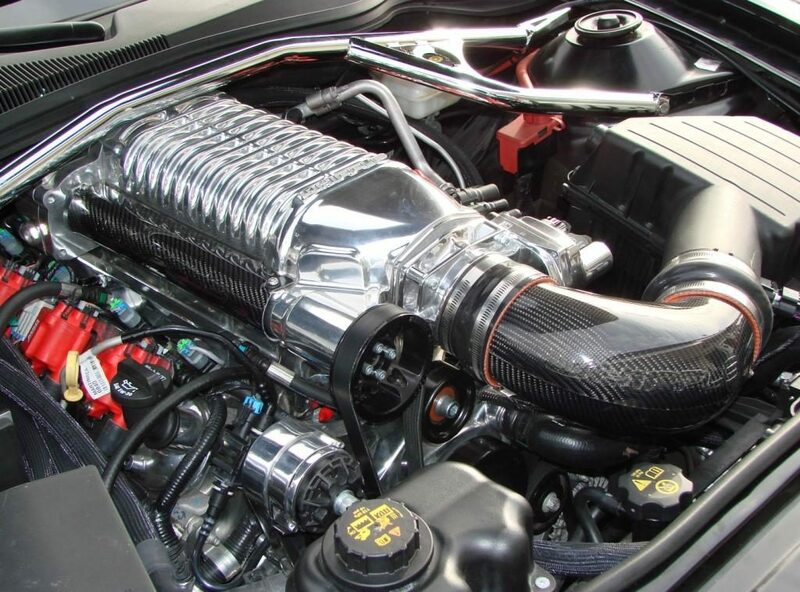 It has long been debated which is better for your engine – superchargers or turbochargers? Which adds more power? Which is more reliable? Some cars come from the factory with a supercharger, turbocharger, twin turbochargers or sequential turbochargers. In the quest for more horsepower, bolting on a power adder is one of the fastest ways to increase the output of your engine. Which one should you choose? The idea behind a supercharger is simple. A belt driven air compressor is attached to the engine accessories and forces more air into the engine. Sounds simple enough, but things can become complicated. A supercharger is belt driven, just like all of the other accessories on your engine. The alternator, water pump, A/C compressor and power steering pump are all belt driven as well. Although the end result is more horsepower, a supercharger “takes power to make power,” and in the lower RPMs will lag the engine because of the drive belt. 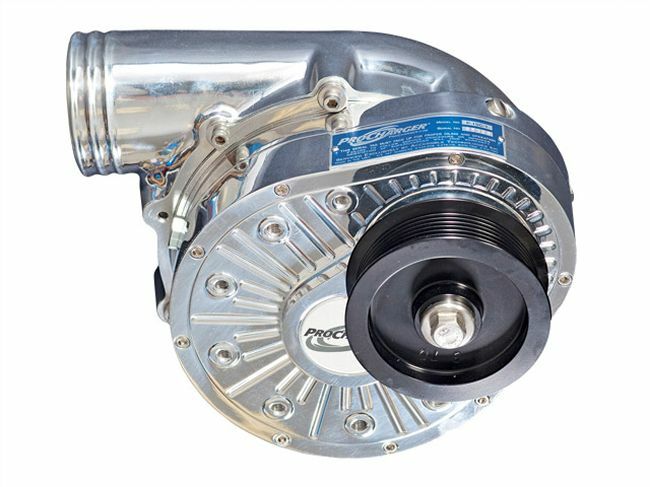 Superchargers also control their boost through a pulley size. The larger the pulley, the slower the supercharger runs. Conversely, the smaller the pulley, the faster the supercharger runs, and therefore the more boost it nets. 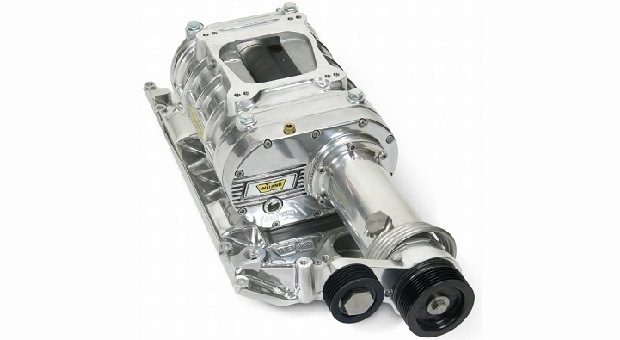 Superchargers can normally be installed in an afternoon if purchased in a complete bolt-on kit. They come in three styles; the roots style, twin screw and the centrifugal type. The roots style and twin screw style superchargers replace the vehicle’s existing intake manifold. This makes for an easier installation and a cleaner look. The problem with these styles is that they are limited in the air that they can flow. The twin screw is an upgrade over a roots, providing power in the lower RPMs, but they both lose the ability to flow air at higher RPMs. The roots style has been used by several automakers as an OEM add-on for its limited maintenance. 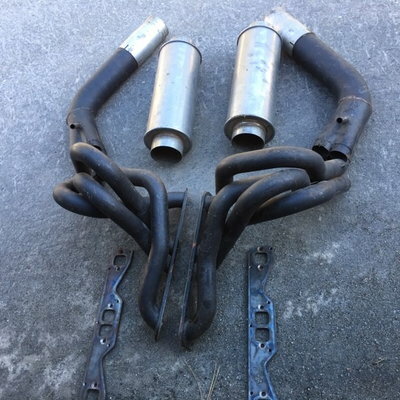 Superchargers do not interfere with the exhaust side of the engine, and therefore make a great modification after headers have been installed or the entire exhaust system has been changed out. The centrifugal type is the most popular in aftermarket high performance applications. The design is very similar in looks to a turbocharger, and does not replace the intake manifold. If you can get the belt over the pulley, mounting locations are nearly unlimited. The location of the outlet (where the pressurized air comes from) can be “clocked” (turned to face different directions) for more flexibility with installations. 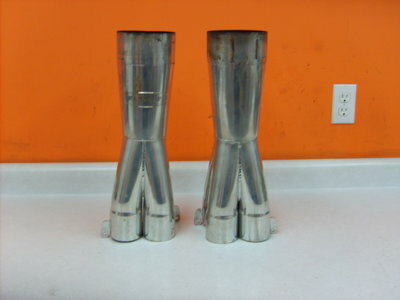 Most centrifugal applications allow the use of intercoolers as well, since boost is created outside of the engine. Intercoolers allow for higher boost levels, because they lower the temperature of the compressed air. The biggest negative about the centrifugal type supercharger is that it mostly comes in custom fabricated kits or if you’re installing one, fabrication and custom fitting is a necessity. Belt driven (takes power to make power), the belt can slip, fray or squeal. Replacement belts can be expensive. We either love or hate turbochargers, but they always add power. Turbochargers differ from superchargers because they run on exhaust gases. The turbocharger bolts onto the exhaust manifold, and when exhaust gases pass through the turbo, they spin a wheel (turbine), which is connected via a shaft that spins another wheel (compressor) on the other side. For this reason, turbos create a lot of hot air, since half of it deals specifically with exhaust gases. Turbochargers come in three main forms; single, twin and sequential. The twin turbo setup on a Ferrari 488 GTB. Note identical size turbos. A single turbo utilizes all the exhaust ports coming from the engine. 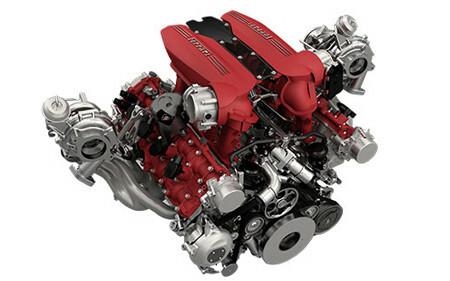 Inline engines typically use a single turbo, while V engines tend to use twin turbo setups. 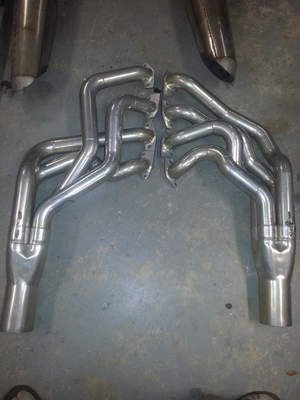 Twin turbos are the same size, and are used on each bank of the engine. Some V engines use single turbos and have cross-over pipes connecting both engine banks to the turbo flange. Sequential turbos are two turbos of different sizes. The smaller turbo spools up the bigger turbo, providing efficiency in both the lower and upper RPM ranges. Turbos are controlled by a wastegate (a type of bypass) which allows excess exhaust gases to bypass the turbo, controlling the boost level. Electronic boost controllers are available which can be programmed to driving styles and gears, and set to specific levels. Turbos are really easy when it comes to changing their boost levels. Turbo cars are also known to have blow-off valves or factory “bypass valves,” which vent or recirculate the unused air blocked by the throttle plate (during shifting), which can make for some interesting sounds. Factory bypass valves are quiet and usually not heard at all. The author’s turbocharger off of a 3000GT VR-4. Note the “flap” next to the turbine wheel; this is the standard internal wastegate. Turbochargers can also be built to specifications, or compressor wheels can be changed out to increase airflow. Turbos can be built in various configurations to match your engine size and power needs. Turbos do not come without their flaws. Because turbos run on exhaust gases, the exhaust gas has to build up in order to make the turbo run full boost. This is known as “turbo lag” or “boost lag.” The bigger the turbo, the longer the lag period, which is measured in RPMs. This usually results in dyno graphs with steep and sudden increases in power. Adding a turbo to your car can be a hassle. When mounting a turbo to the exhaust manifold, clearance becomes an issue, and the size of the turbo can become limited. The turbo also requires piping to the intercooler (not required but recommended), and then tubing into the throttle body. 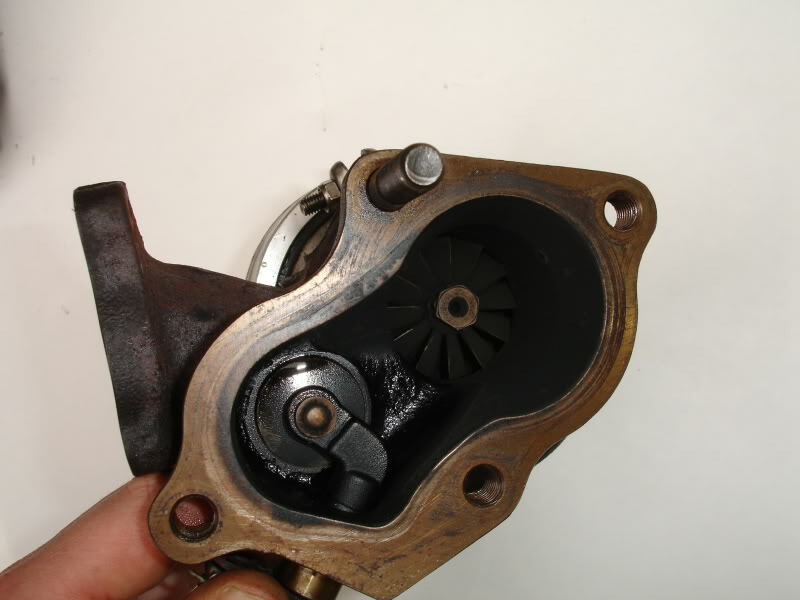 Turbos also require oil for lubrication, and sometimes use engine coolant for cooling purposes. These are lines which must be connected to the factory system, which may become difficult to do. Superchargers and turbos are great power adders. Both can easily double the power output of your engine. The downfall is that with additional power comes the need to upgrade internal components and lower the compression ratio of the engine for the higher boost levels. It is possible to tune out the additional air and match it with the correct fuel, but in order to run high boost levels, a lower compression ratio is a must. Which is better, a supercharger or a turbocharger? When adding forced induction to a naturally aspirated car, both require upgrades to the computer, fuel system and intake sides of the engine. The turbocharger requires changing the exhaust manifold and plumbing oil lines to the factory system. 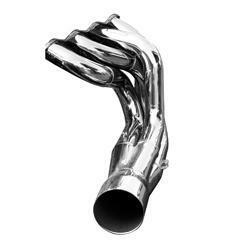 The supercharger requires replacement of the intake manifold or plumbing intercooler lines throughout the engine bay. Ultimately, the choice is yours. If your car has a really nice exhaust system and you want a lot more power quickly, a supercharger kit would be recommended. 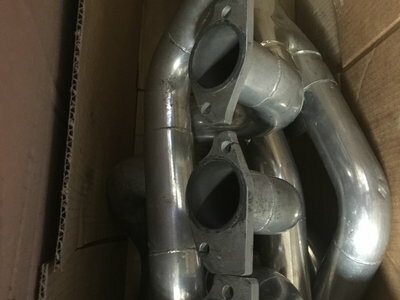 If you’re building a project car and are building an engine, adding a turbocharger would be ideal because the engine can be built with a lower compression ratio, and the fabrication of the piping and oil lines can easily be added to an engine on a stand.